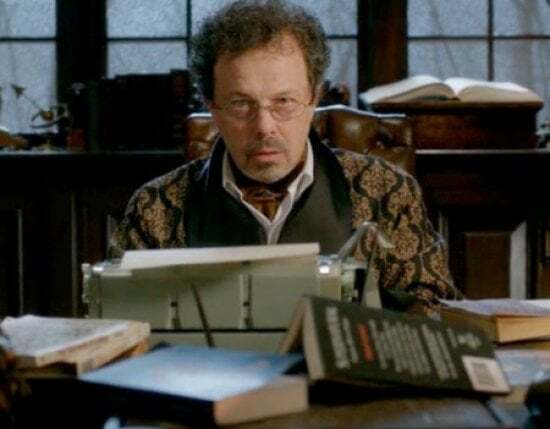 Metatron The Scribe is using iOrbix. Metatron The Scribe gave a gift (Kiss) to Castiel ᴬᶰᵍᵉˡ ᵒᶠ ᵀʰᵉ ᴸᵒʳᵈ. Metatron The Scribe has new friends. Metatron The Scribe has just replied in the topic What is this? An interrogation?. [b][c=#2D5680]Rules: [/c][/b]A person will post 10 questions invented by them, Supernatural related or not, and the next person will answer them and will post their [i]own [/i]10 questions for the next one. There, doesn't seem hard, does it? [b][center]1- What is your favorite color? 4- Who's the true king of Hell, Crowley or Lucifer? 5- If you could bring back a supernatural character from the dead, who would it be? 7- Ménage a trois or ménage a douze? 8- Do you think Amara was pure evil? 9- Who wore it better? Castiel or Metatron? 6- I don't know... was it crepes? 3- Trench coat or leather jacket? 7- Michael loved Lucifer yes or no DB<??? 8- Gabriel learned his tricks from...? 9- Chuck; Best or Worst Dad in the World? 7. I believe he did. 9. Not the best but he had good intentions. 3. Technology or old fashion? 5. Jeans or suit pants? 6. Tie or no tie? 3- A bit of both. [center]1- Hell, Heaven, Apocalyptic world, or Purgatory? 2- The spear Ramiel used belonged to...? 5- Would you bring back Rowena from the dead? 6- Who's more powerful, God or the Darkness? 8- If the supernatural didn't exist, how would your life be? Castiel ᴬᶰᵍᵉˡ ᵒᶠ ᵀʰᵉ ᴸᵒʳᵈ tagged Metatron The Scribe on this photo. I want...YOU to make me a peanut butter jelly sandwich. I'm the Scribe of God!